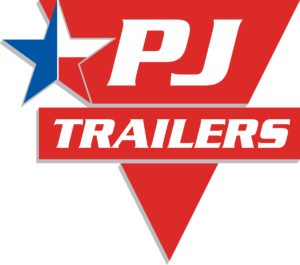 When you are towing a trailer on the road, it is crucial to take every step necessary to ensure not only the safety of you and the cargo you are towing, but also the safety of other drivers and passengers on the road. You must be alert and drive with great care, especially when passing another vehicle while towing. In order to safely pass another vehicle while towing, you must first remember that you are pulling extra weight, which means you won’t accelerate as fast as you normally would. Speed can play a huge factor in causing a combination disturbance, so be sure that you are driving slower than you normally would without a trailer under similar road conditions to start with, and keep in mind that the maximum recommended speed while towing is 55 miles per hour. Never exceed the posted speed limit when towing. If you are able to safely pass another vehicle while maintaining the advised speed, the following guidelines from the National Highway Traffic Safety Administration will help you do so safely. Signal well in advance of passing a slower vehicle. This will help other drivers to be aware of your intentions. You should also remember to signal in advance of changing lanes. Avoid passing another vehicle on steep upgrades or downgrades. You should pass on level ground when you have adequate clearance to pass. To improve acceleration or speed maintenance, downshift as needed. If you are going to pass another vehicle on a narrow road, make sure you do not go onto a soft shoulder. Remember that a tire going off a paved road can cause a number of unsafe situations, including loss of control of your combination. After you have safely passed the slower vehicle, make sure that you have allowed for plenty of distance to clear the other vehicle before you change lanes again. Also, remember to use your turn signal early before you changing lanes. Towing a trailer is a huge responsibility, and one that can’t be taken lightly. That means staying alert and following all recommendations for towing safety, including taking great care when passing another vehicle while towing. If you have further questions, please contact us or your dealer for more tips and information.